Nobody wants to deal with blocked wastewater exit points. And if you don't know how to do it right, chances are the situation will only get worse. So contact Fantastic Handyman today and we'll send a dedicated, fully equipped plumber who will solve your blockage problem. 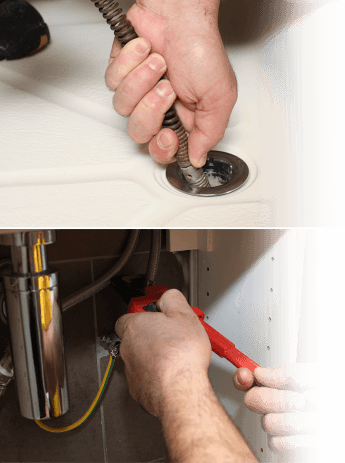 Your specialist can also handle other plumbing repairs such as fixing faulty showers or replacing stop valves. Your plumber will arrive fully equipped and ready for action. Once he figures out what causes the blockage, he will use the right tool for the job. The specialists carry everything necessary such as manual instruments and high pressure water jets. Don't let the drains work sluggishly. Act now to avoid further problems like leaks, blockages, unpleasant smells, and all kinds of messes around the house. 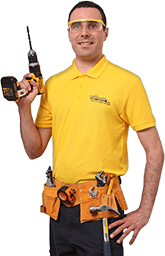 The plumbers are available all week long, including on weekends and bank holidays. You can enlist their help even during after hours. And they are all experienced and reliable. Our drain unblocking services are available in every London area within the M25 zone.